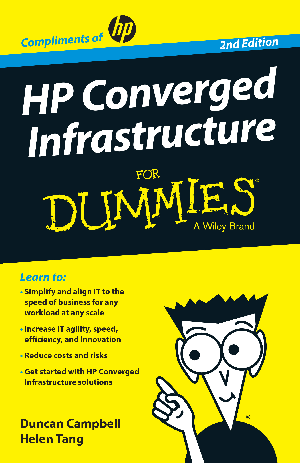 The cost, speed, and efficiency advantages of infrastructureconvergence are phenomenal. But convergence confronts youwith seemingly endless technology choices and confusingmessages. All this makes it difficult to understand how best toget started and with which vendor — and which convergencesolution is best aligned to your various workloads. This bookmakes it easier for you to understand convergence and theways you can move forward quickly, safely, and successfully.